The police helicopter and dozens of police officers are searching the town centre for a ‘runner’ who is on the loose. 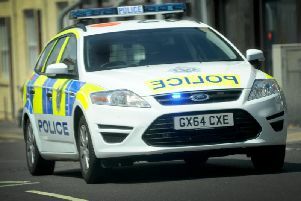 Police cars are currently stationed in Lyndhurst Road by Worthing Hospital, with officers positioned in High Street, Worthing, and the Waitrose car park. Officers can be seen climbing fences and stood on roofs by the gas holder behind Waitrose, with a police dog unit. Sussex Police confirmed they were currently searching for an individual. This comes after reports on social media of a man running through people’s gardens in the area. A Sussex Police spokesman said: “The individual has been described to us as a runner by officers, but at this stage we cannot confirm who he is or what he is running from.